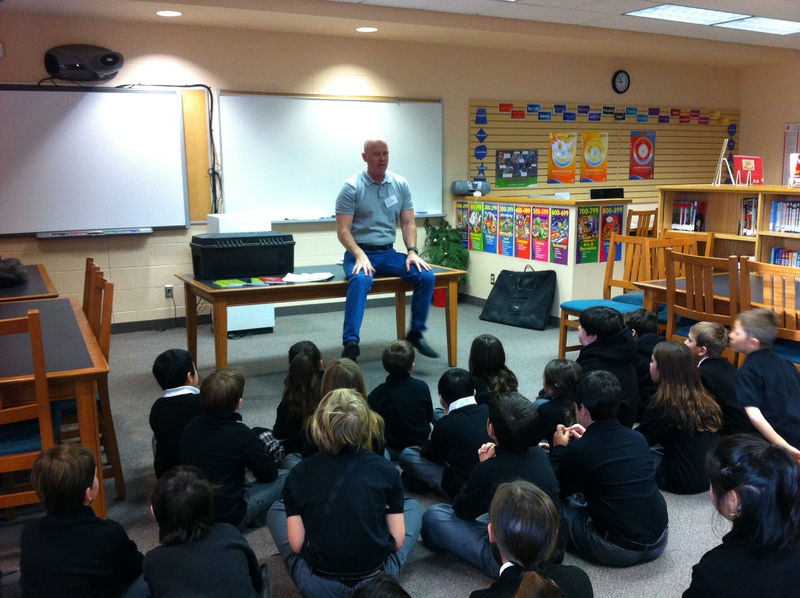 Today, we welcomed Mike Wade author of the “And Then It Happened” series of books to the Lower School. Every year around this time of year we try to have an author come to visit, and share their personal experience with the students. If you are looking for an author – Mike’s presentations are funny and inspiring to all students. He quickly relates to all students discussing his experience in school and shares some of his tricks of the trade with students. There are many benefits of welcoming an author into your school, and each author has their own message or theme to their presentation. Today, the message was that anyone can be a writer – something that resonates with me as a teacher and inspires the students to keep writing. For some reason, it doesn’t take much before students believe that they are not a writer! I have to admit, I never considered myself much of a writer and it has taken a lot of work to develop a mindset that I can improve my writing skills. Through bringing in an author, students are reminded of the writing process – and that every book on the shelf in the library represents the love, sweat, and tears of an author! This is something that is easy to forget when our libraries are filled with thousands of books by authors from around the world. Today, Mike mentioned that each of his books takes usually 7 complete rewrites! This fact really stuck with me because getting students to edit and revise their work is always a challenge. Having a real live author, who has had books published tell the students he actually does this seems to have a different impact on my students! Authors also have a way of kick starting reading! Usually, authors will bring copies of their books for sale and many times students will purchase them and read them very quickly after the author has left. As they have a real person to associate with who has created this book, it seems to get them motivated in a different way! They also seem to want to check the authors other books out of the library!